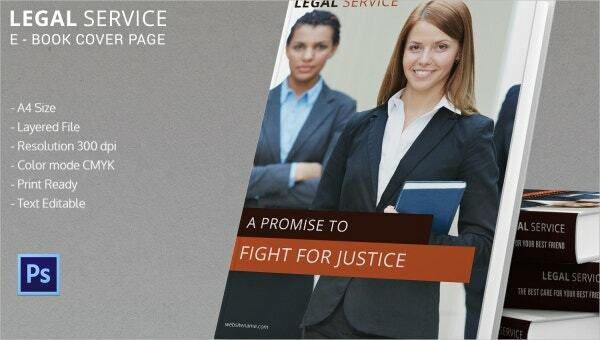 Do you own a legal firm and you are looking for a multi-facted promotion for your company? Well, there are various ways through which you can carry out the promotional campaign today- such as brochures, flyer examples, posters, ad banners and of course the social media accounts in this digital age. 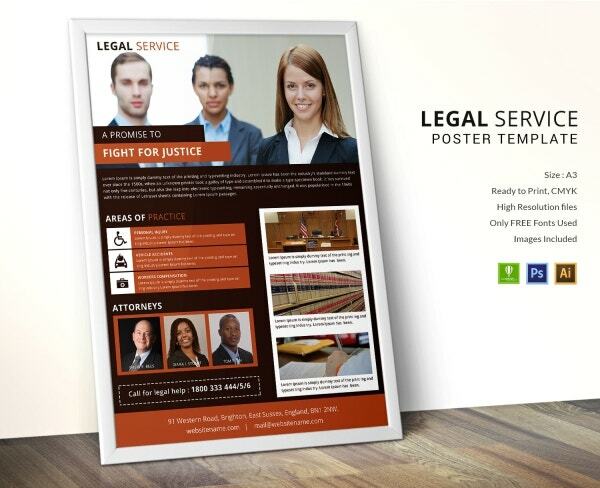 The cool bit is that today you will get legal service templates for any promotional media you wish to take to. These templates come with a pre-designed structure so that you don’t have to draft the whole thing from scratch. You can also see Legal Agreement Template. 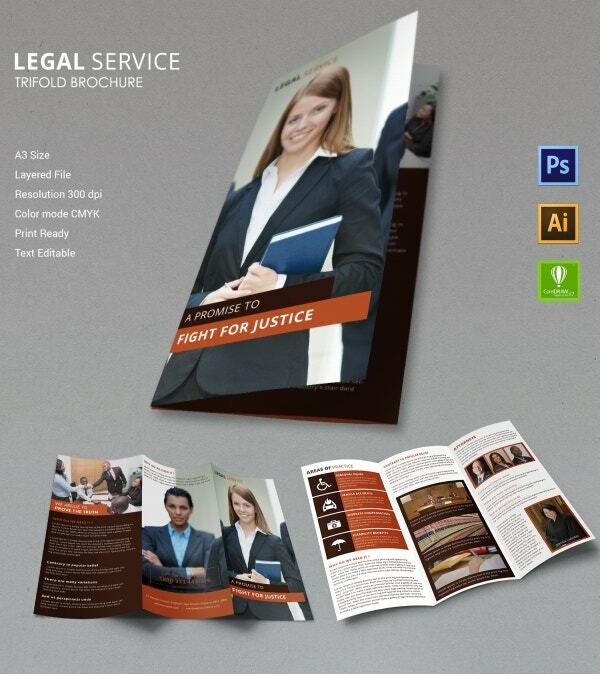 You have an elegant trifold brochure for your legal firm which will help you to promote about your practice in a smart & professional manner. It opens up with an extensive space for image and you can also add your slogan here. Inside you can write down in detail about your practice areas, service philosophy and can even add images of team members. 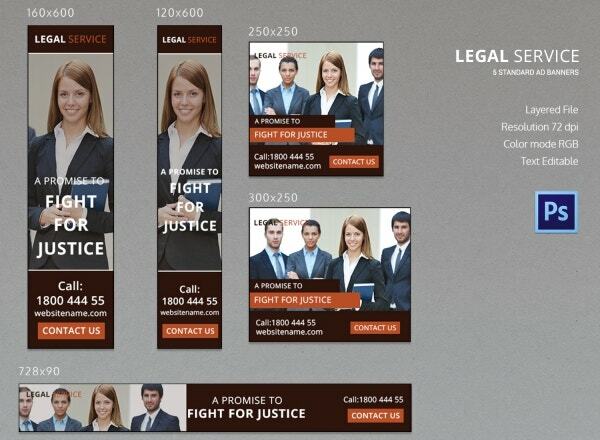 This template bundle here comes with a package of 5 ad banner templates for your legal firm. All the templates are smart attractive and would enable you to market your practice through image, slogan and contact details. There is a smart “Contact Us” CTA tab as well. The size of templates vary from 160 x600 to 728 x 90. 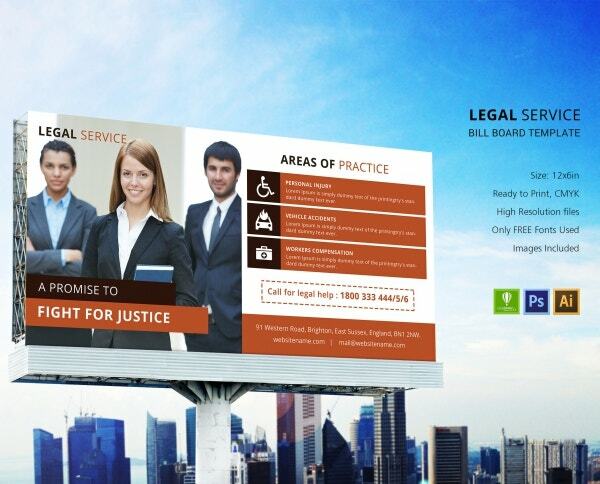 If you are looking to spread the word about your legal practice in a huge way, a bill board template like this would be the thing for you. A smart template that it is, it enables you to mention about the main areas of your practice at the right and on the left you are getting a sizeable space for an image. The template also provides adequate space for all your contact details. 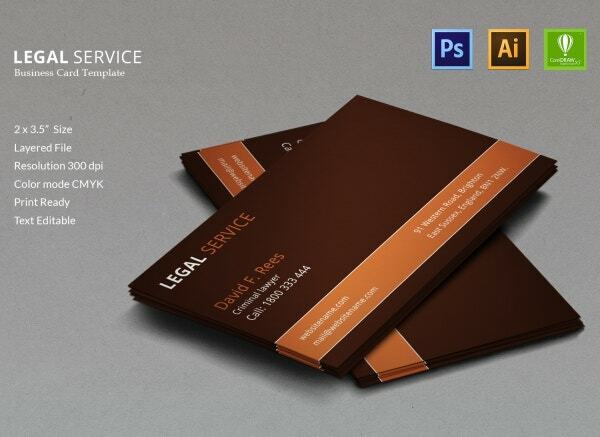 If you are looking to get the ideal business card design for your law firm, here is the business card template for you. The brown backdrop looks professional and suave and the bold tangerine streak makes a sharp combo. It’s a minimalist card with the absolute dose of needed class. Have you penned an ebook lately and now looking for the right cover page. 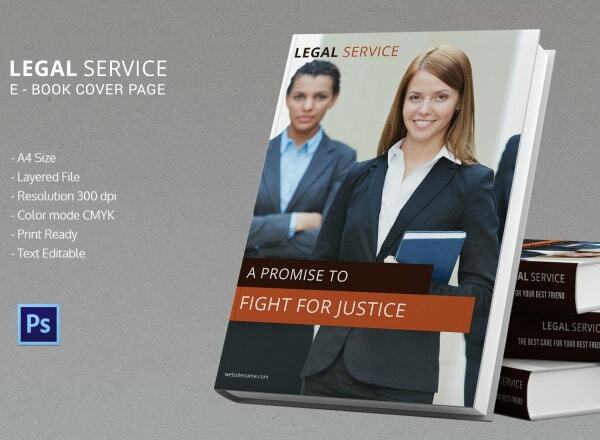 Well, don’t worry as you have a very classy ebook cover page template here to help you out. 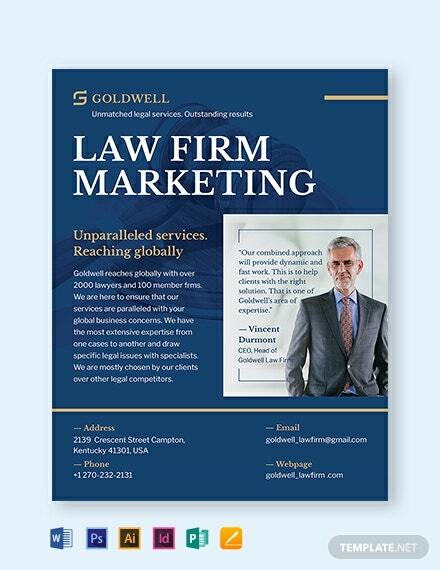 The cover page template carries a simplistic aura where you can include a professional image of your legal firm complemented by a fitting slogan. 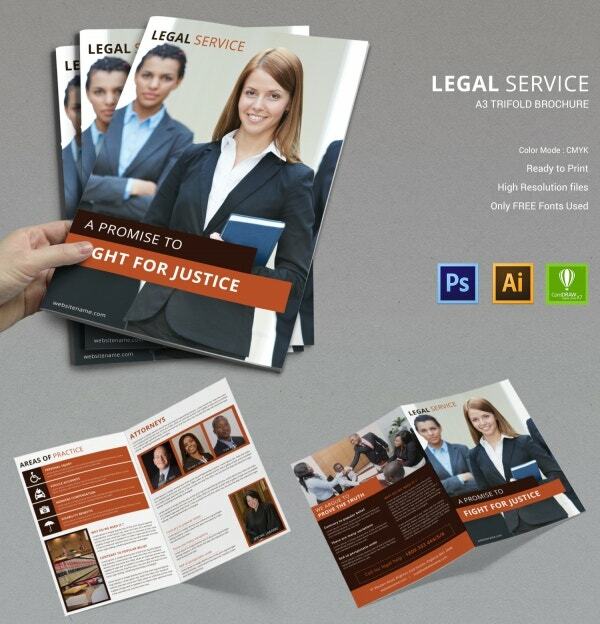 You have a smart and professional envelope template here for your legal firm. The white backdrop looks elegant and you also have dual-colored lines here to state the slogan of your firm. The tangerine bottom-line will host the contact details of your law firm. 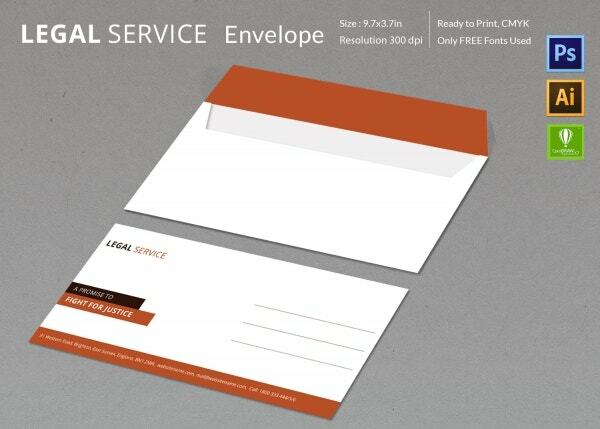 The envelope template carries a size of 9.7 x 3.7”. 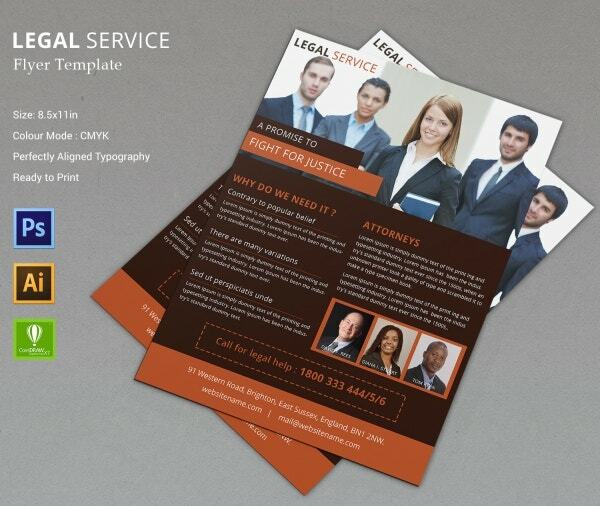 The flyer template here enables you to spread the word about your legal firm in an elaborate way. 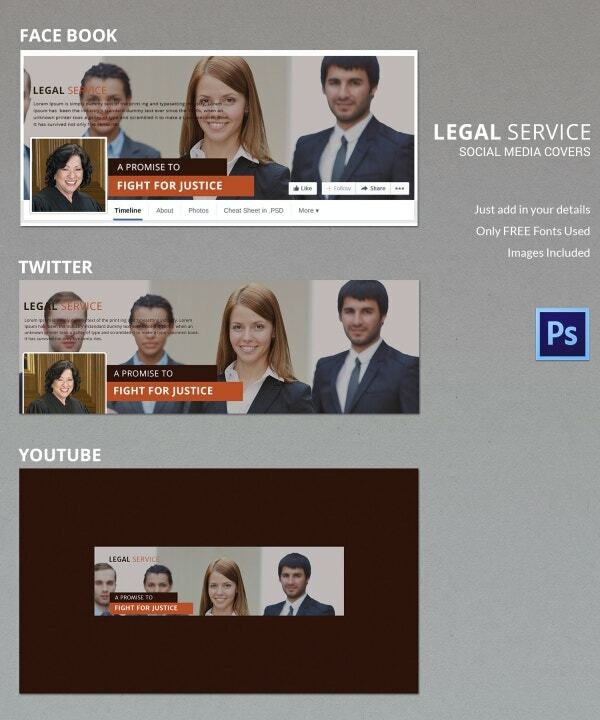 It opens up with a picture banner at the top and you can even add bright picture of your attorneys to the template. The editable text part allows you to state the highlights of your firm and you have ample space for contact details. 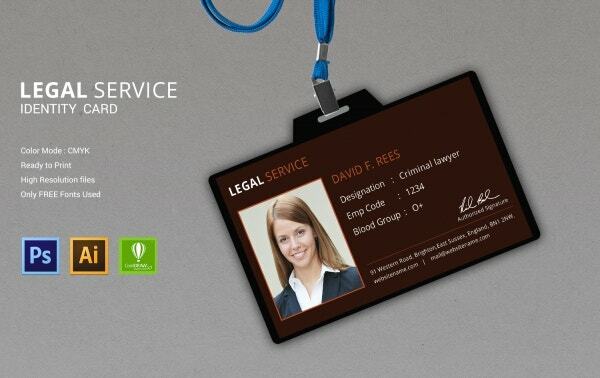 If you are looking for a smart design for the identity card of your attorneys, the template here is the most needful for you. It offers adequate space for a sizeable image of your lawyers and beside you have all the sections standard for any proper identity card- designation, employee code and blood group. White and light brown makes a great contrast, assuring a very professional aura for the overall invoice template. The template here comes with the needed sections you might want in any standard invoice document like item description, quantity, unit price and price. Below you will also find a brief space to note the terms and conditions of your law firm. 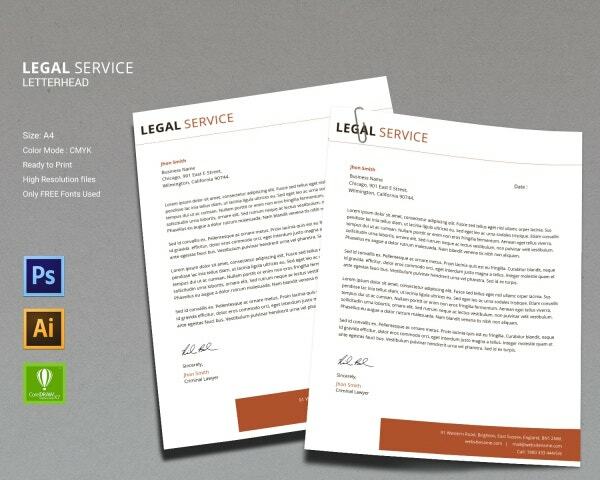 You have a smart letterhead template here for your law firm. It opens up with the name of your firm at the top followed by sizeable space to detail about your textual letter or document. The text is completely editable. The contact details of your firm can be mentioned below on the colored line. 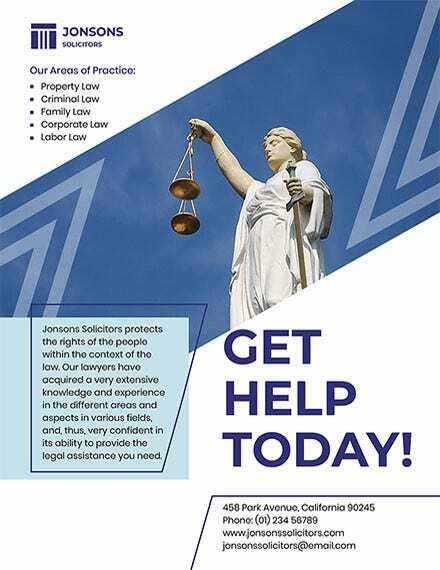 A postcard is a very creative way to promote your business pitch to your audience and if you are looking to follow the same with your law firm, you have a smart professional post card template here. 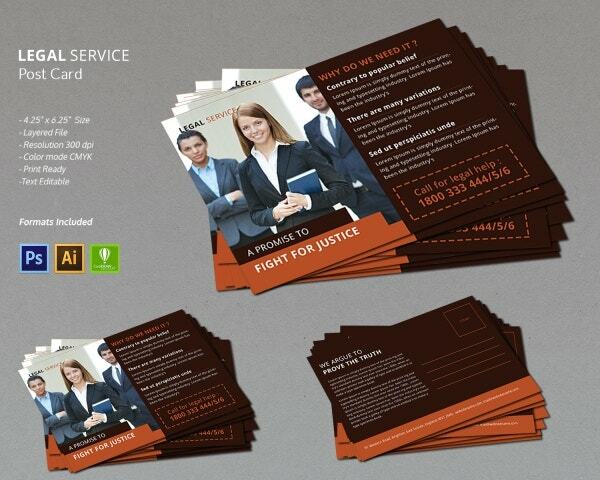 The front side of the template carries space for your image and the best bits about your services. It’s a customizable template. If you are looking to create a visual appeal with your poster promotion, this poster template would be great for you. It allows you to upload the pictures of your attorneys, your law firm and so on. You also have ample space here to write down your areas of practice and contact details. If you are looking for some smart ideas for your law firm’s social media profile page and timeline cover, these social media cover templates would be amazing for you. You have 3 templates here for 3 popular social media platforms such as Facebook, Twitter and YouTube. All of them will allow you to promote your page through image and slogan. 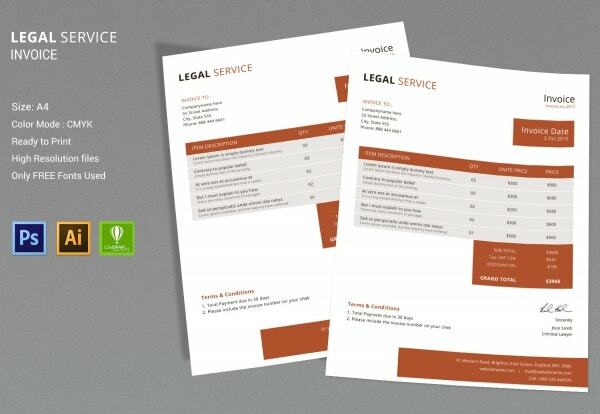 An A4 bifold brochure would be fine when you are looking for a broader space to detail about your law firm and here you have a very effective bifold brochure template here. It allows you to include several images and can write about your practice areas, the specialty of your firm, why to choose it and so on.